Reality Street published a showcase series for new poets between 1996-2002. 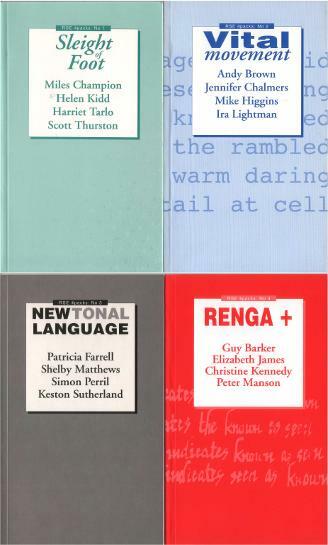 Each volume featured four poets who had not at the time of commissioning had a substantial book of their own published. Funding from London Arts gratefully acknowledged. The 4Packs series is now OUT OF PRINT.